December 27, 2014. The wedding images of Kelley and Berend taken at Willoughby Golf Club in Stuart, Florida.. Shown here is a detail shot of the tables during the reception. 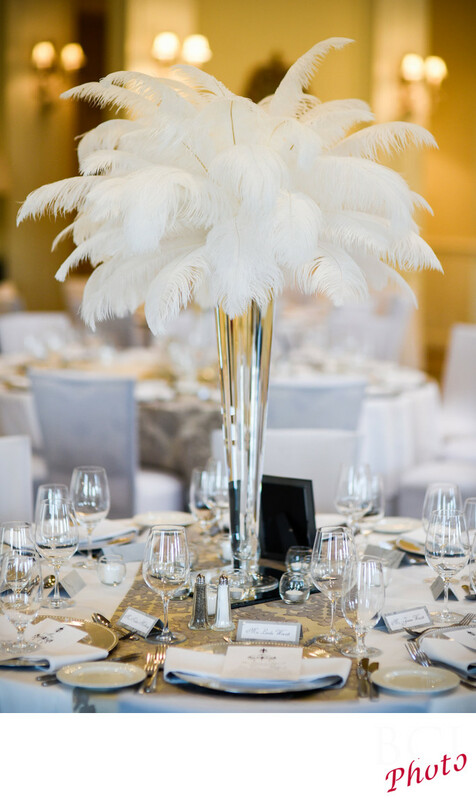 Huge white feathered arrangements in vases create a stunning visual display.